Yesterday I had the pleasure of attending the ASOS Go Play event in Covent Garden with one of my closest friends. It is really exciting that ASOS is finally launching their own beauty brand. I was in a pink mood and decided to go for it with one of my favourite co-ords. My friend Shadi has the most incredible fashion sense. She was photographed by the ASOS team, so keep an eye out for her on their website soon! 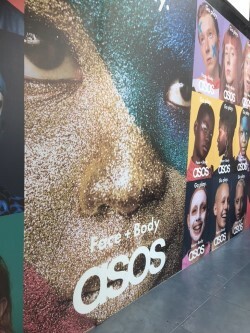 Alongside being able to have a peek at the ASOS launch, we were able to have a hands on look at the brands ASOS stocks. There was also a ball pit, hair stylists and interactive stations! The entire event was an instagram dream. After the event we headed to Pizza Pilgrims for some pizza. It was the cutest surprise that the pizzas came in a heart shape! !